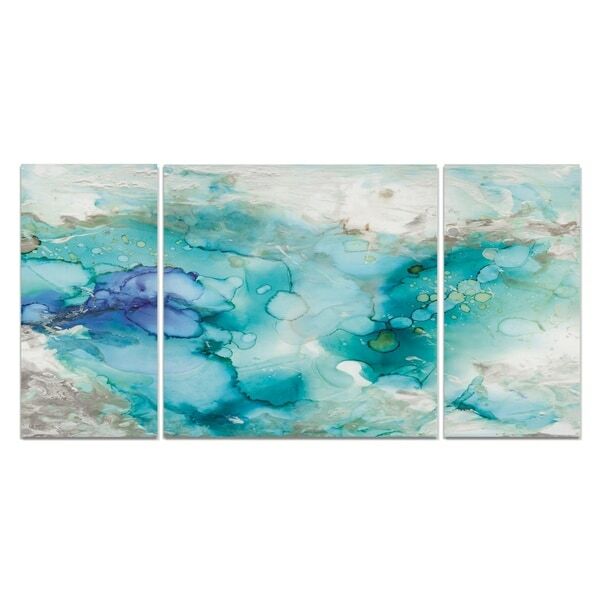 Impress your guests with this calming, relaxing teal art. With a striking marble pattern, this piece of art is printed onto long-lasting canvas and stretched onto a durable wooden frame. Dimensions 24.0 In. X 48.0 In. X 1.5 In.